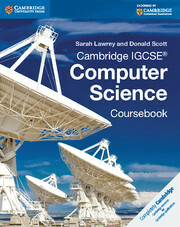 Cambridge IGCSE® Computer Science Programming Book accompanies the upcoming title, Cambridge IGCSE Computer Science, introducing and developing the practical skills that will help students to develop coding solutions to the tasks contained within.Starting from simple skills and progressing to more complex challenges, Cambridge IGCSE® Computer Science Programming Book shows how to approach a coding problem using Structure Diagrams and Flow Charts, explains programming logic using pseudocode, and gives full solutions to the programming tasks set. Students will learn programming in Visual Basic from the beginner level through tasks of increasing difficulty, with fully worked explanations and solutions provided to facilitate understanding. 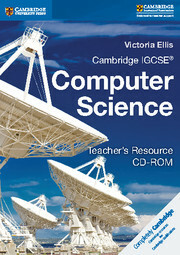 Fully worked explanations and solutions provided to facilitate understanding. Specially designed flowcharts and diagrams will help students to organise their thinking before writing sections of code. 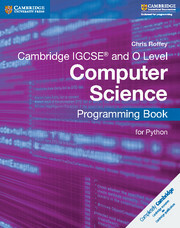 The practical nature of the tasks and their clear outcomes help students to visualise the expected results, supporting them through each stage of coding.